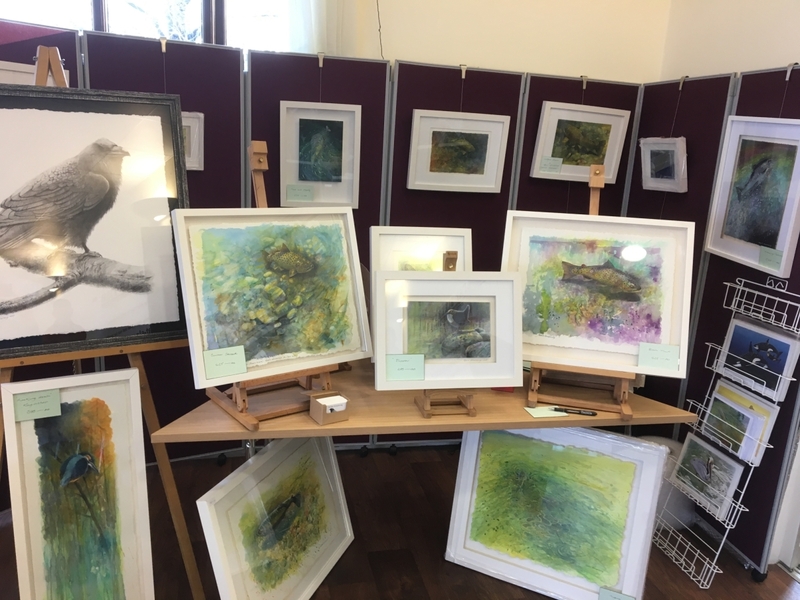 The South West Fly Fair has become a popular event in the Fly Fishers Calendar and is held on the last Saturday in February each year at Roadford Lake. The event coincides with rising excitement amongst anglers as another River Season approaches and anglers thoughts turn to spring days, daffodil lined river banks, silver salmon and feisty wild trout. 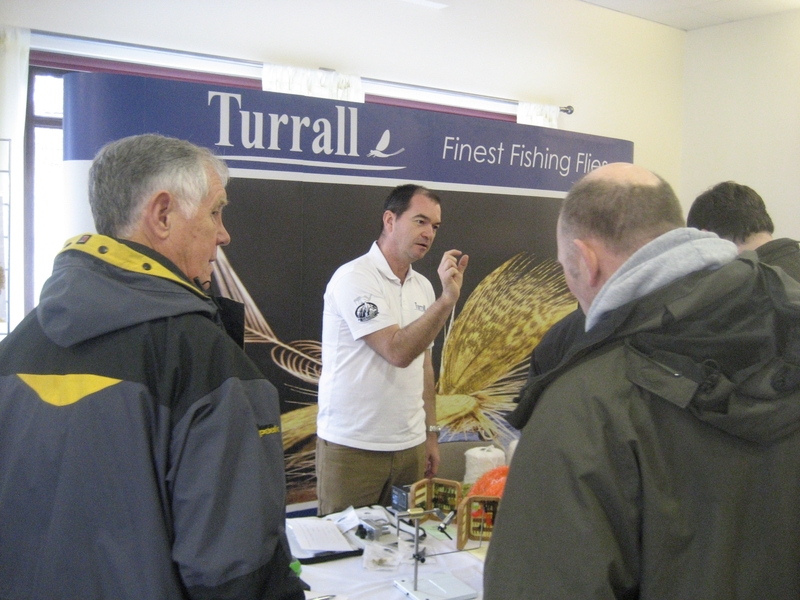 The event is hosted by South West Lakes Trust and was sponsored by Turrall Flies and Cortland. There were wide ranges of demonstrations held throughout the day including Casting, Cooking and Fly Tying. 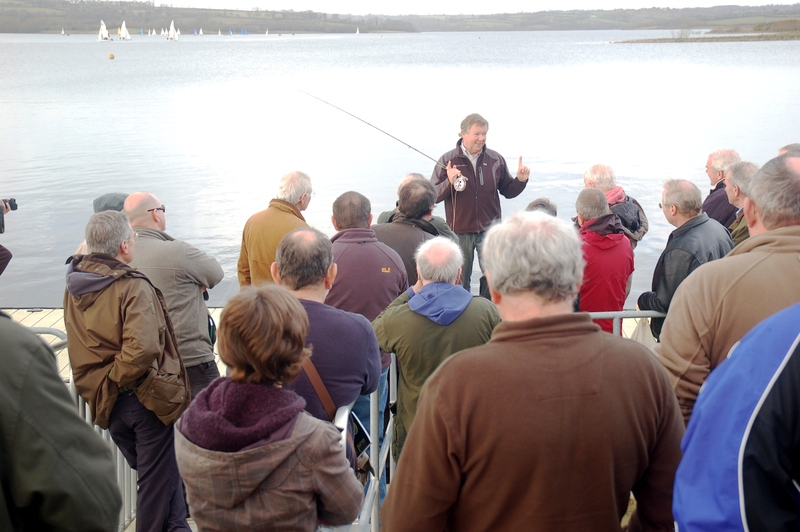 Close to 250 attended the show making it one of the biggest angling events in the West Country Game Fishers Calendar. Indoors at the conference venue there were a wide range of displays of fishing related interests including fishing tackle, art, media and environmental interests. 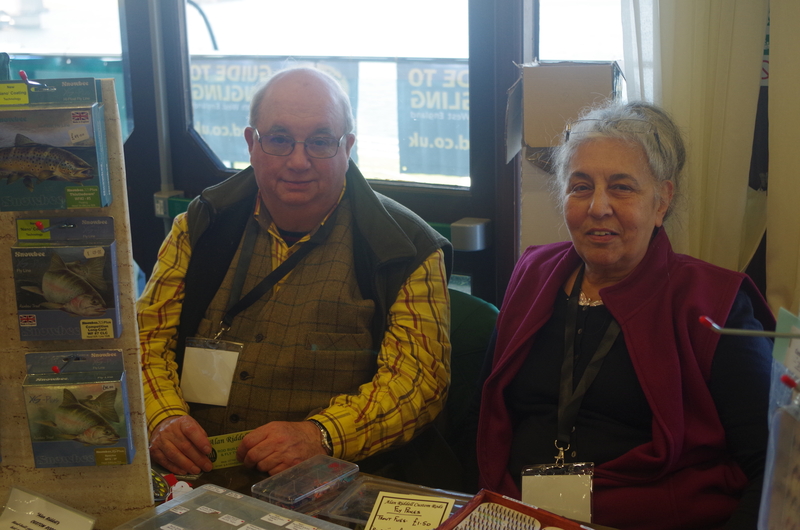 My wife Pauline and I managed to get a round only a short section of the many stalls as we spent time chatting with the stallholders who were all passionate about fishing and their connection with it. (Above) Alan Riddell Rod Builder and Fly Tyer displayed his range of quality rods and quality trout and salmon flies. Mark Underhill Fishery Manager chatted about his plans for Wimbleball Fly Fishery that is due to open on March 23rd an exciting day for West Country Fly Fishing with quality rainbows to be stocked ranging between 3lb and 6lb. 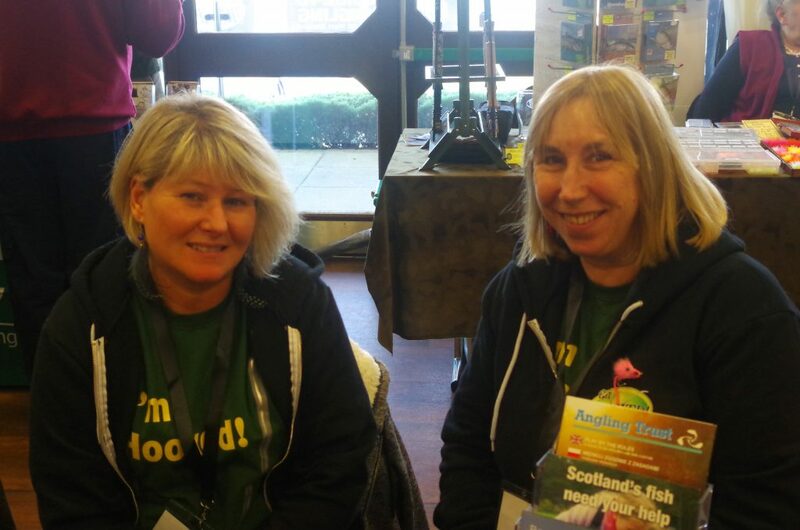 Jane and Mandi from the established Get Hooked Guide were at hand to offer advice on where to fish throughout the West Country. There excellent guides and website have been providing an A to Z of fishing venues for close to thirty years. 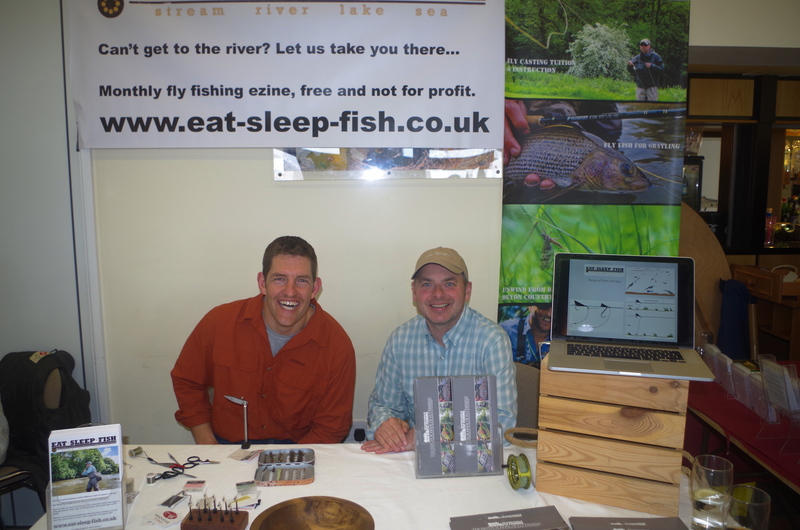 Pete Tyjas and Duncan from the Devon School of Fly Fishing were at hand to promote the excellent on line fishing webzine Eat Sleep Fish and offer advice on casting and fishing on the River Taw and other local rivers. On Sunday April 22nd they will be busy hosting the West Country Fly Fishing Seminar at the Fox and Hounds Country Hotel, Eggesford. Pauline and I attended this event last year and had a very enjoyable and informative day. 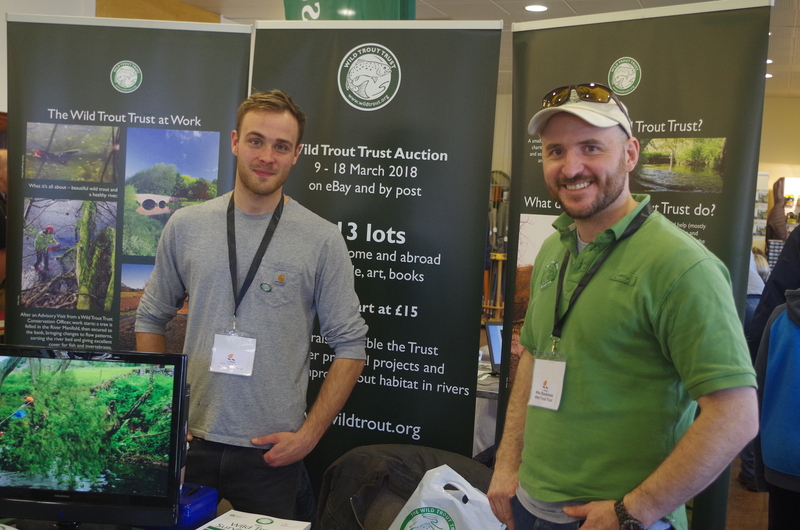 Other exhibitors included Fly Fishing Tackle of Crediton, British Float Tubing Association, BASC, Arundell Arms, Crayfish UK, West Country Rivers Trust/River Fly Partnership, Turral and Cortland (Show Sponsors) Robin Armstrong, Luke Bannister Split cane rods, Chevron Hackles, Weatherbys Dry Fly, Milemead Fish Farm, Torre Trout Farms, Homeleigh Angling Centre, England Commonwealth Fly Fishing Team, Crediton Fly Fishing Club and Virtual Nymph. (Above)Charles Jardine demonstrates the art of Fly Tying. (Above)Peter Tyjas demonstrating casting and fishing techniques. Below is the press release from South West Lakes Trust Just in case I missed anything. 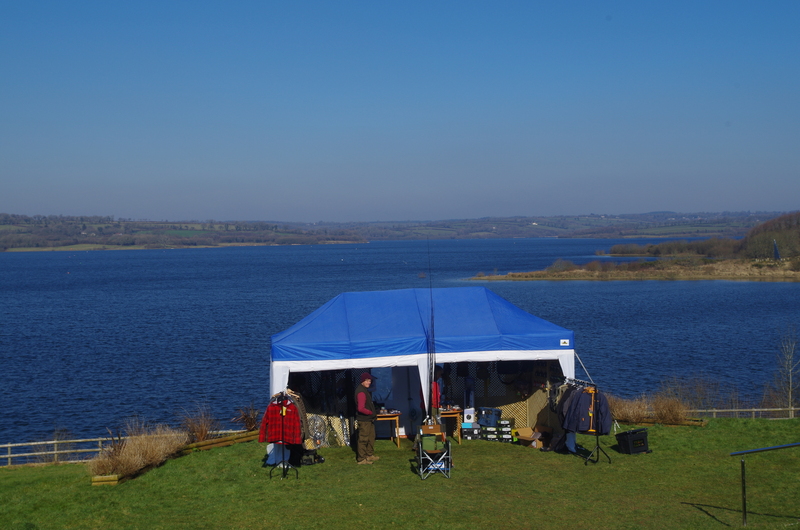 The sixth South West Fly Fair got the Trout fishing season off with a bang on Saturday (24 February) as fly fishermen from all over the region attended the annual show, held at Roadford Lake and hosted by South West Lakes Trust. The show is always a great place to grab a bargain, watch some fantastic demonstrations from Trout fishing celebrities and speak to the many organisation and trade stands that attend. There was also a free fly casting and fly tying zone for anyone to have go. 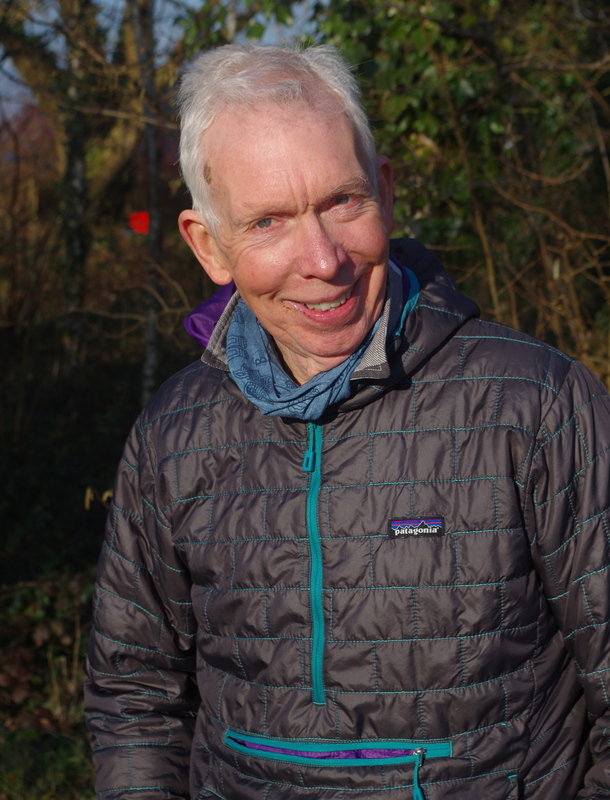 The show was launched by Ben Smeeth, Head of Angling for South West Lakes Trust and then officially opened at 10.20am by Charles Jardine, one of the country’s most respected fly-fishing gurus and patron of the show. Activities throughout the day included casting demonstrations with Charles, who gave an entertaining and impressive display with the Trout rod, and Gary Champion, a local expert who travels worldwide teaching people to fish and give demonstrations. 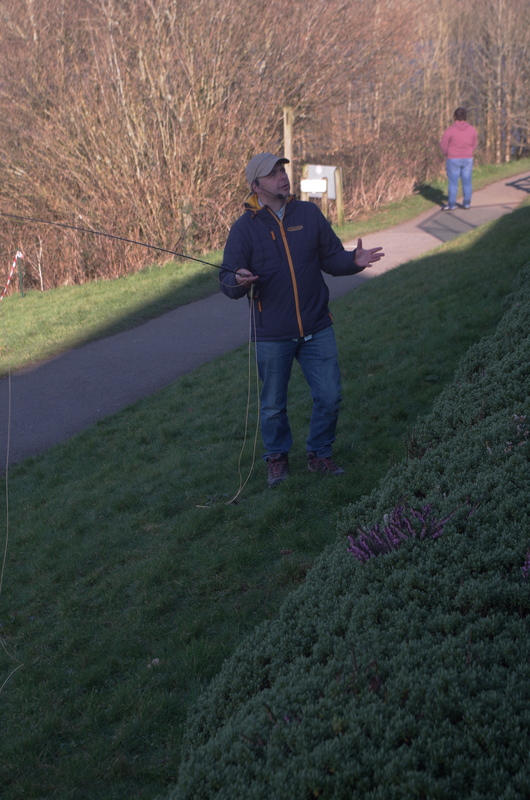 Pete Tyjas from the Devon School of Fly Fishing also gave a great display on river fishing for all to enjoy. More than 30 people took advantage of the free fly casting lessons and clinics for both newcomers to the sport and experienced anglers feeling a little rusty after the closed season. The Chef from the local angling hotel, the Arundell Arms, gave a fantastic demonstration on ways to prepare and cook your Trout once you have caught it with samples to taste. This was a real treat on a very cold day! There were a variety of angling conservation organisations including The Westcountry Rivers Trust, The Wild Trout Trust and two local custom rod makers, Alan Riddell and Luke Bannister, who has built up an international following for his beautiful hand-crafted split cane rods. The British Float Tube Association (BFTA) and the British Association for Shooting and Conservation (BASC) were also on hand to provide information and advice. 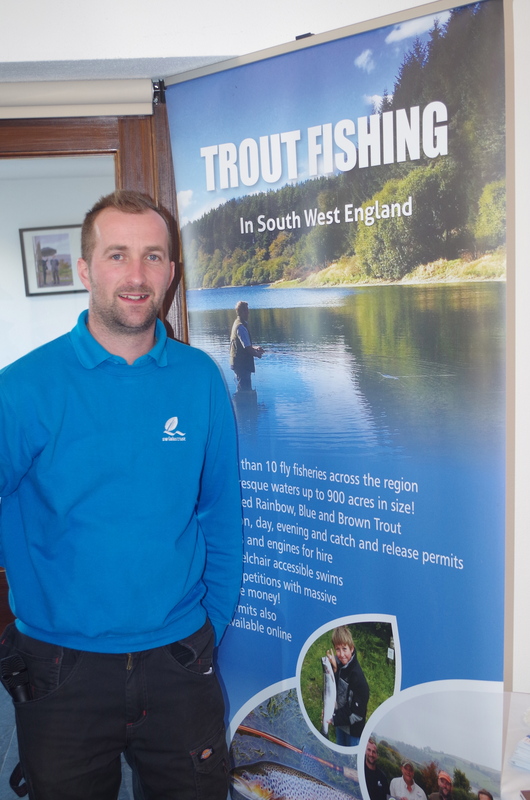 South West Lakes Trust’s Trout suppliers, Milemead Fisheries and Torre Trout Farms Ltd, were on hand to talk to anglers and show a sample of the fish they could expect to catch in 2018. There were some stunning Tiger, Brown, Rainbow and Blue Trout on display for people to view. 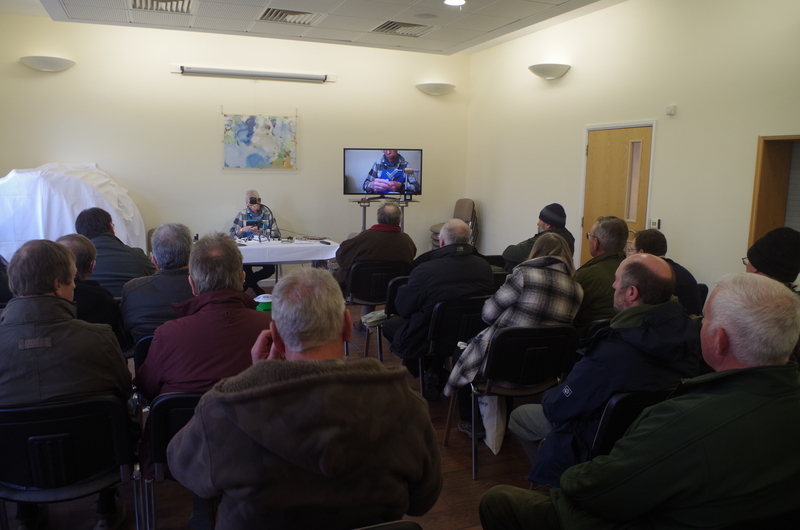 Those looking for new fishing opportunities in 2018 were able to speak to representatives from various fishing clubs throughout the region and ‘Get Hooked’ magazine who were also on hand to advise. There was also a large selection of angling trade stands including impressive displays from the shows sponsor Cortland UK, with the opportunity to handle, try and buy this year’s latest equipment as well as an astounding selection of fur, feathers and specialist fly-tying equipment from suppliers based all over the country. Mark Underhill of Wimbleball Fly Fishery was also on hand to inform everyone of his intentions for Wimbleball and its future as a Trout fishery now he has taken the operation on. The 2018 Trout fishing season on the South West Lakes Trust Rainbow Trout reservoirs starts on 3 March at Siblyback, Stithians and Burrator and has already kicked off in spectacular form at Kennick reservoir. The Brown Trout season for Roadford, Fernworthy, Colliford and Wistlandpound starts on 15 March. 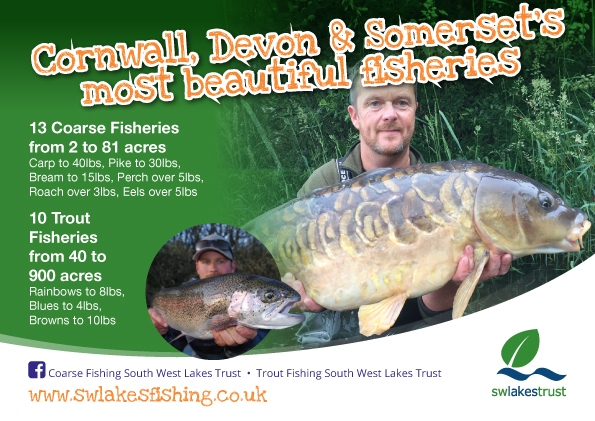 Full details and this year’s prices are on the Trust’s website – www.swlakesfishing.co.uk. 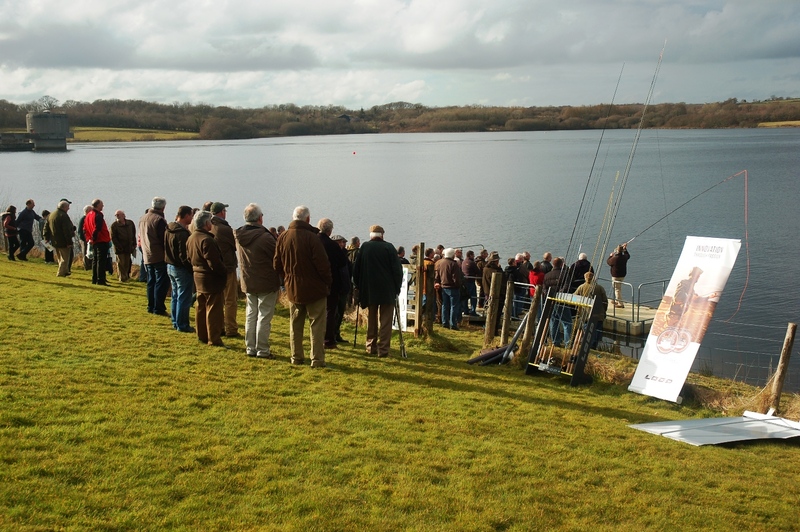 The South West Fly Fishing Fair will be held at Lakeside, Roadford Lake for its fifth consecutive year on Saturday 24 February, 10.00am – 4.00pm. This event, sponsored by Cortland UK, has become a regular fixture in the West Country’s angling calendar as anglers prepare for the start of a new fishing season. Each year the event has built on the success of the previous Fly Fair and the 2018 show will be bigger and better again! The show will be opened at 10.00am by one of the country’s most respected fly-fishing gurus, and Patron of the show, Charles Jardine. There will be fly-tying demonstrations from both local and nationally renowned experts, with a chance to ‘have a go’, as well as the opportunity to pick up useful tips and valuable advice. 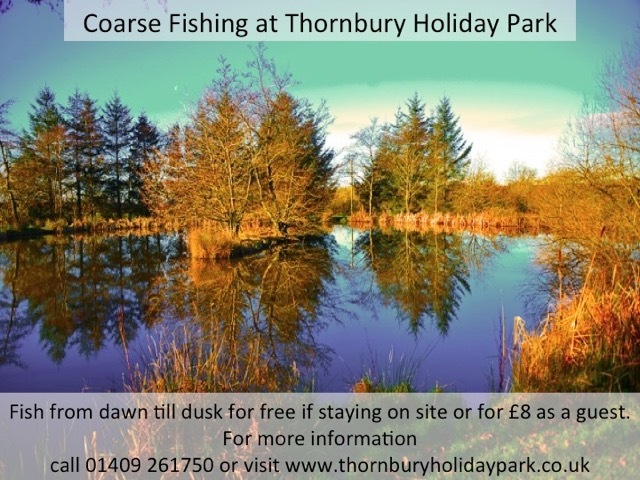 Other activities throughout the day include casting demonstrations, fly casting lessons and clinics for both newcomers to the sport and experienced anglers feeling a little rusty after the closed season as well as casting competitions and the opportunity to try float-tubing or kayak fishing! There will be Trout cooking demonstrations and a variety of live Trout for people to view including Brown Trout, Rainbow Trout and Blue Trout. 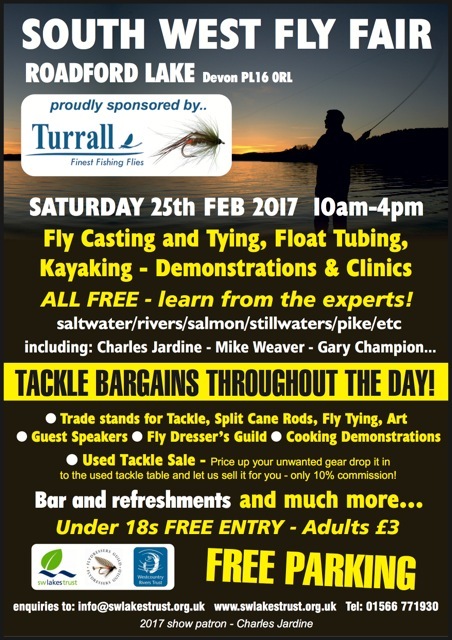 Trade stands will be selling tackle and equipment at bargain prices and there will also be rod making demonstrations. The introduction of a second hand tackle sale was very popular in 2016 with anglers bringing their unwanted equipment along and having it sold on their behalf. This will be taking place again in 2018. It’s a terrific event and the only one of its kind in the South West! Entry is only £3.00 for adults and under 18s go free. The bar will be open for refreshments throughout the day and parking will be free. For more information please contact Ben Smeeth by calling South West Lakes Trust on 01566 771930 or email bsmeeth@swlakestrust.org.uk. The South West Fly Fair has become an eagerly anticipated event on the West Country Anglers Calendar and is well worth a visit on the eve of a new salmon and trout season. Don’t think its all about trout and salmon though as there is something for anglers of every persuasion. I hope to see you there on the day. 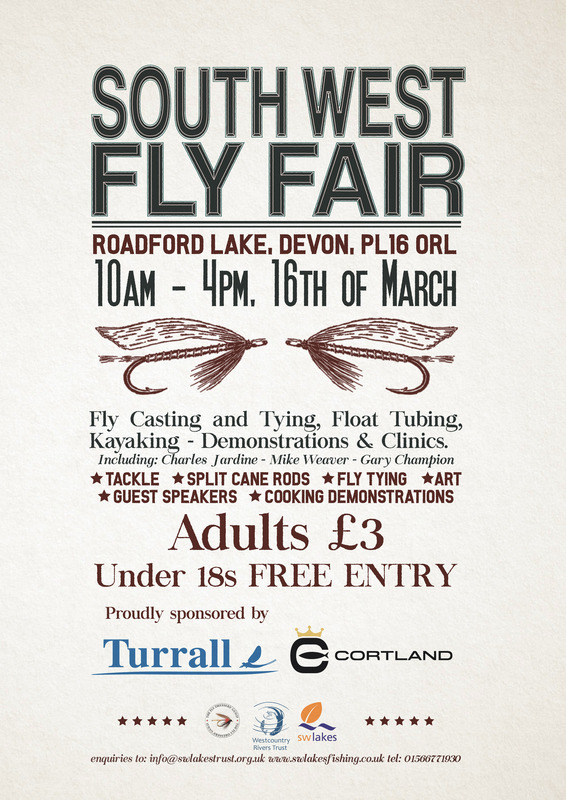 South West Lakes Trust are holding their annual Fly Fair at Roadford Lake on Saturday February 25th. 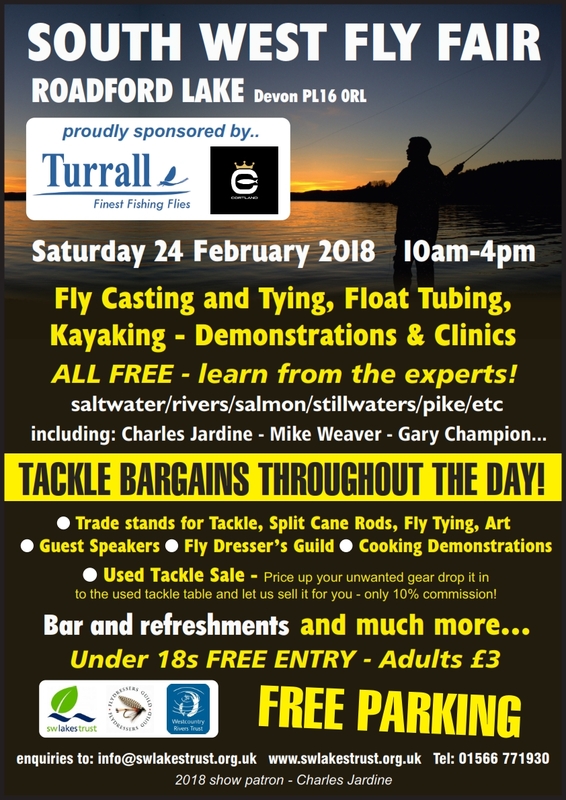 This popular event is an ideal curtain raiser for the Spring Season with a range of tackle and Fly Tying equipment on display along with casting demonstrations, Kayaking, Float-tubing, cooking and plenty more to interest the angler. Special guests on the day include Charles Jardine, Mike Weaver and Gary Champion. There is also the opportunity to purchase season tickets for local waters at a discount of 5%. The South West Fly Fly Fair has become a very popular fixture on the game fishing calendar and is eagerly anticipated each year as a seasons eve event show casing everything Fly Fishing including Fly Tying, Fly Casting and Fly Fishing.